Deposits from 10%, over 37 months, GMFV at end of term to pay off the balance, trade it in, or hand back the keys. GMFV at end of term to pay off the balance, trade it in, or hand back the keys. Finance Example: Opel Insignia Grand Sport SC 1.5 (140PS) Turbo ecoTEC 6 Speed. Retail Price† €28,145. Customer deposit / Trade In €8,443.50. Finance Amount €19,701.50. 36 monthly payments of €585.12. Fixed APR (Annual Percentage Rate) 4.9% as at 01/04/2019. Minimum deposit 30%. †Excludes delivery and related charges. Model shown for illustrative purposes only. *Lending criteria, terms and conditions apply. (>18s only). To qualify for this Finance Offer; minimum deposit of 30% of the Total Retail Price and a maximum term of 48 months apply. Rate quoted is correct as at 01/04/2019 and is subject to change. 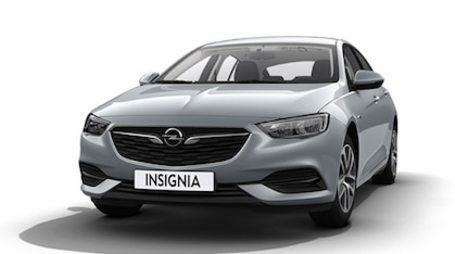 Offer available on all new Opel Insignia Grand Sport retail passenger cars models ordered from 01/04/2019 and registered by 30/04/2019 at participating Opel Dealers. This is a Consumer Hire Purchase agreement provided by Bank of Ireland trading as Bank of Ireland Finance. Ownership remains with Bank of Ireland until the final payment is made. Insignia Grand Sport Fuel Economy I/100km: combined 4.9-7.7, CO2 emissions combined 129-202 g/km.